As confirmed by one of the studio's founders on Twitter, if you go the Xbox One/Windows 10 route for the game, then you'll get to take advantage of Xbox Play Anywhere. The title will support the cross-buy/cross-save functionality right out the gate, and cross-platform play will "come in one of the early updates." 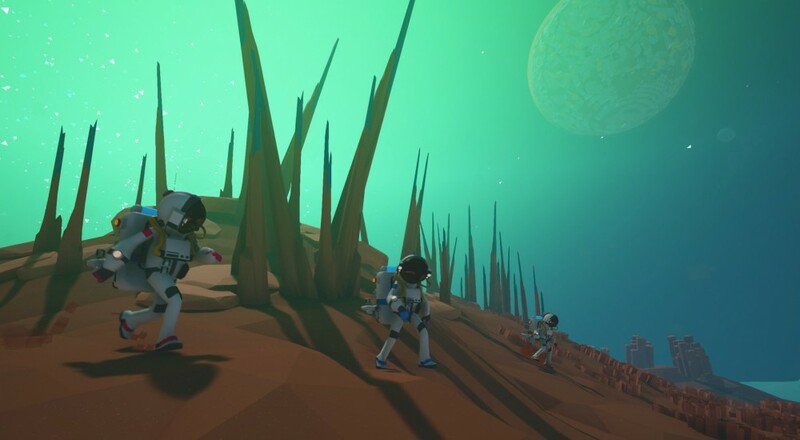 The biggest hook to Astroneer is the way the terrain can be deformed and created just as if it were "made of Play-Doh." You can check out a two hour "Let's Play" with one of the devs in the video below to see some of that in action. No price point or firm release date has been revealed, but Astroneer will be available to play next week on PC and Xbox One with four-player drop-in/drop-out online co-op throughout the game.